Do not use while sleeping or unconscious. 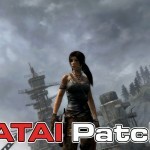 YAMATAI Patch is a TR2013 memory trainer geared towards video recording and exploration rather than straight forward cheating. With everything from camera adjustments to direct modifications to the code that controls her breast size and jiggle, there’s a little something for everyone. 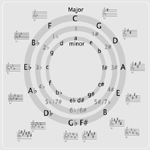 What’s better than a circle of fifths diagram? An interactive vectored one…with other useful stuff! Since I stopped studying music, the theory has been slowly seeping out of the side of my head. The only solution was to recreate my old reference sheet so I could quickly grab a copy on the mobile. iTunes lite – A workaround.